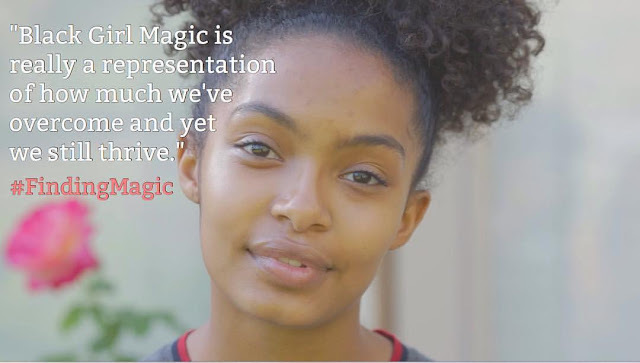 Actress/Producer Andrea Lewis has released a short docu-series titled Finding Magic. The short five-minute film features Essence Atkins, amongst other and highlights what it means for Black women to find their magic. It is part one of a three part series. The short film opens with a definition of Black Girl Magic. 1. The art of pure, unadulterated dopeness that every Black woman exudes, which beholds not only her internal and external beauty, but demonstrated the glory of God the creator. One woman from the video shares her definition: "#BlackGirlMagic is really a representation on how much we've overcome and yet we still thrive." Watch the short film and share your definition in the comment section below.